This palette is just the epitome of summer! 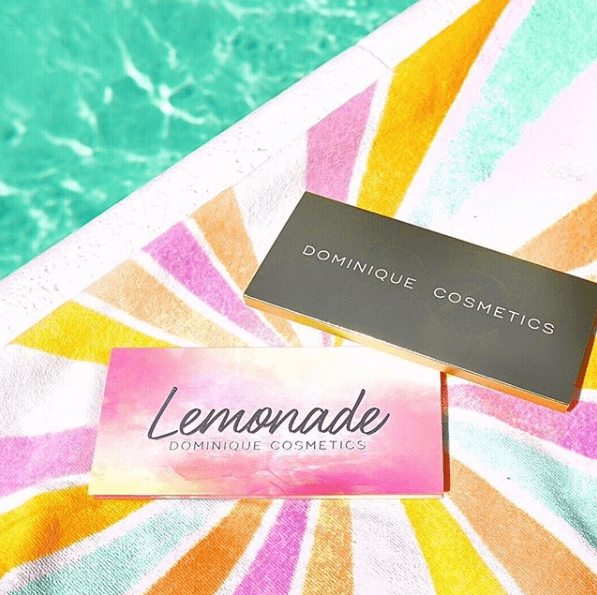 Dominique Cosmetics is launching their Lemonade Collection on Tuesday, 6.19! The collection includes a beautiful Lemonade eye shadow palette ($42) and four lip glosses ($17 each) in shades Strawberry Lemonade, Pink Lemonade, Peach Tea & Sweet Tea. The palette has ten shades consisting of four mattes and six shimmers. This is a follow up to her first palette, the Latte Palette! We’re wondering if she plans on sticking to the drink theme for a while?? It seems to be her trend so far! We sure don’t mind it! 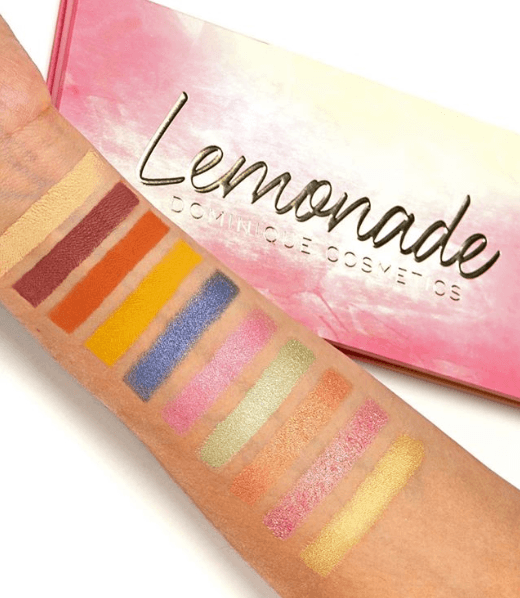 This palette truly fits the name – I totally think lemonade and summer when I see this packaging and these shades! The super colorful palettes are very on trend right now, too, so it fits right in! It’s definitely a little bit shimmer heavy but each shimmer shade looks stunning and will paid perfectly with the matte shades. If it were me, however, I probably would have switched out one of the pink shimmer shades for something else just because there are only 10 shades and 2 of them are pink shimmers… that seems a little much, ya know? I think a classic champagne highlight type shade would have worked better in place of one of the pink shimmers not only to reduce the redundancy but also to add that crucial shade that I believe all palettes need. The issue is that there really isn’t a highlight shade here at all. I also wish the blue shade was matte. For some reason, I think that would have helped balance the palette a bit and made the blue a bit more versatile. Clearly, the palette also doesn’t go very deep. You definitely can’t get much of a dark look with this puppy, but I also think that was intentional for sure. Overall, I like this palette alot! But with a few adjustments, I think it could have been an even bigger hit!